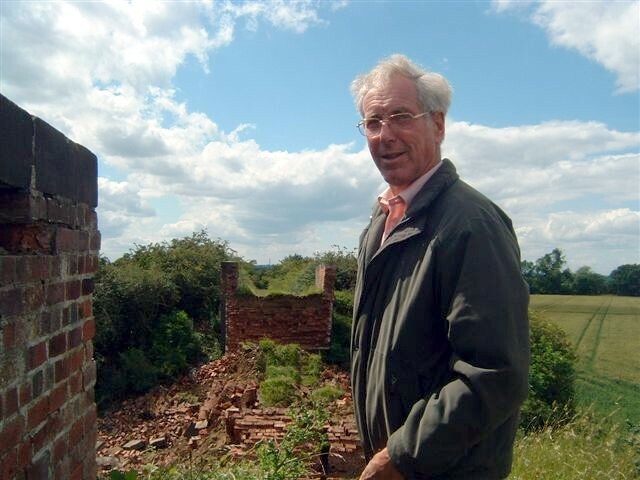 You are here: Home>Places>Landmarks>Loss of a Local Landmark. 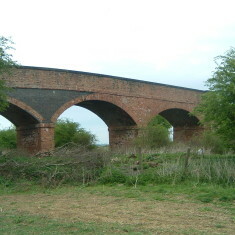 3 Arch Bridge, as it was in May 2007. 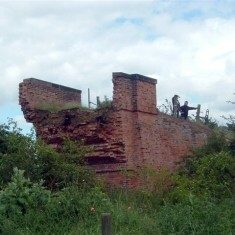 Remains of the western part of the bridge. 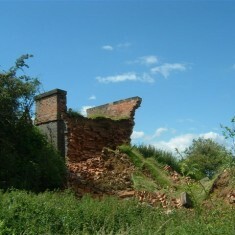 Remains of the eastern side. 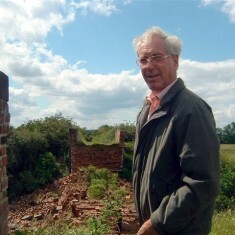 Peter Topps surveys the destruction. 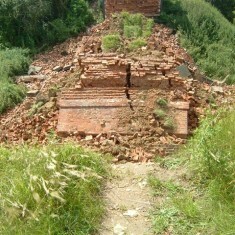 Local people surveying the damage. 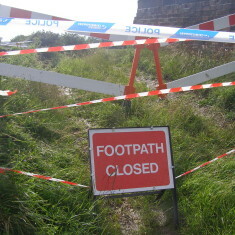 Looking across the gap where the trackway used to be. 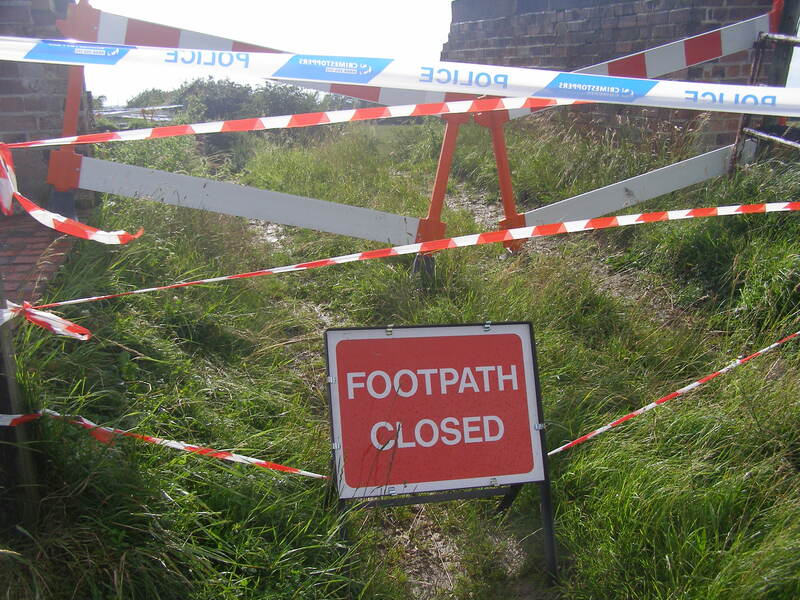 A warning sign, stating the all too obvious. 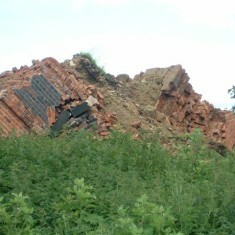 Another view of the collapse. 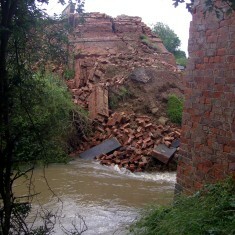 Another view of the collapsed bridge. The replacement '3 Arch Bridge' now just spanning the River Devon - somewhat lacking the archectural presence of the old bridge! 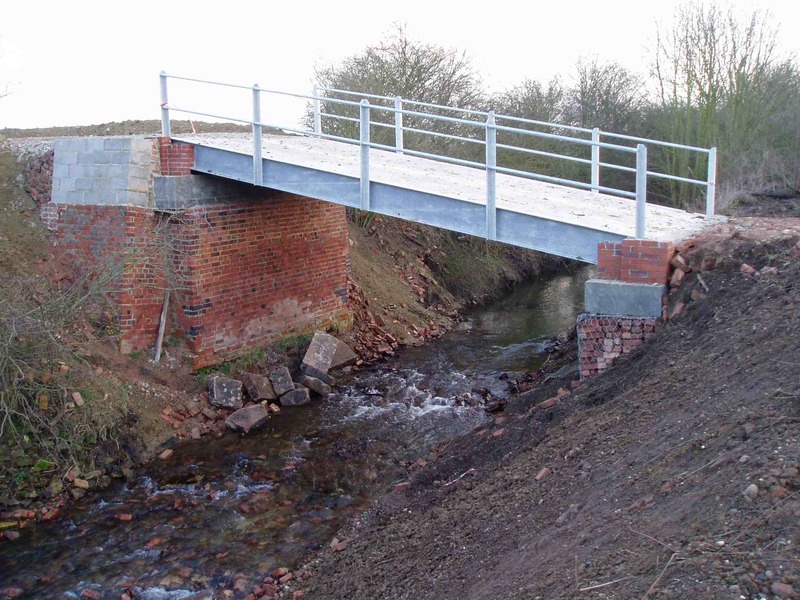 Up until the 26th June 2007 this bridge stood to the north of the village and was known locally as 3 Arch Bridge, for obvious reasons. 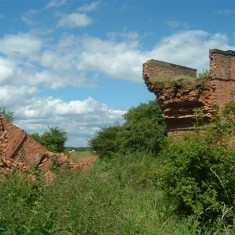 The central arch went over the track of the railway that once ran between Newark and Leicester, with a junction to link up to the Nottingham – Grantham railway. 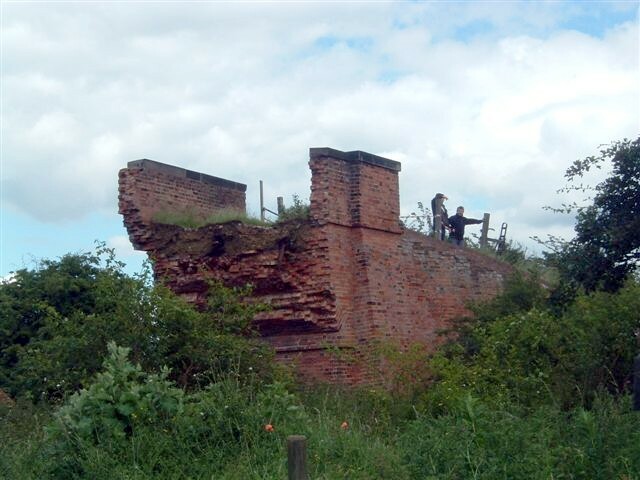 The last line to be removed ran from Colwick through to Newark and was used for the transportation of petrol and diesel. The river Devon flows under the right hand arch. 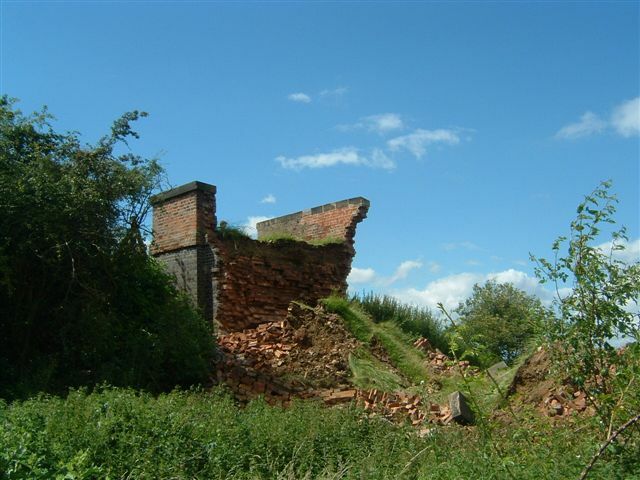 Bottesford north signal box was situated between the railway and the river. 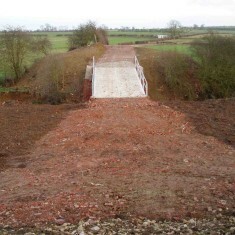 The bridge carried a farm track and public footpath over the River Devon, and was the only such crossing between Bottesford and Staunton. 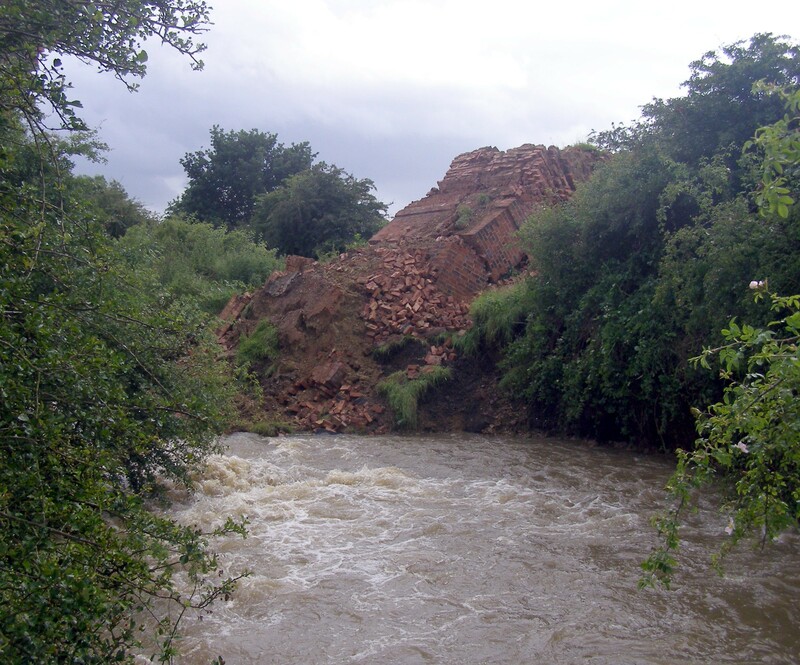 June has been exceptionally wet in 2007, most notably on Monday the 25th when flooding was widespread across large parts of the country. 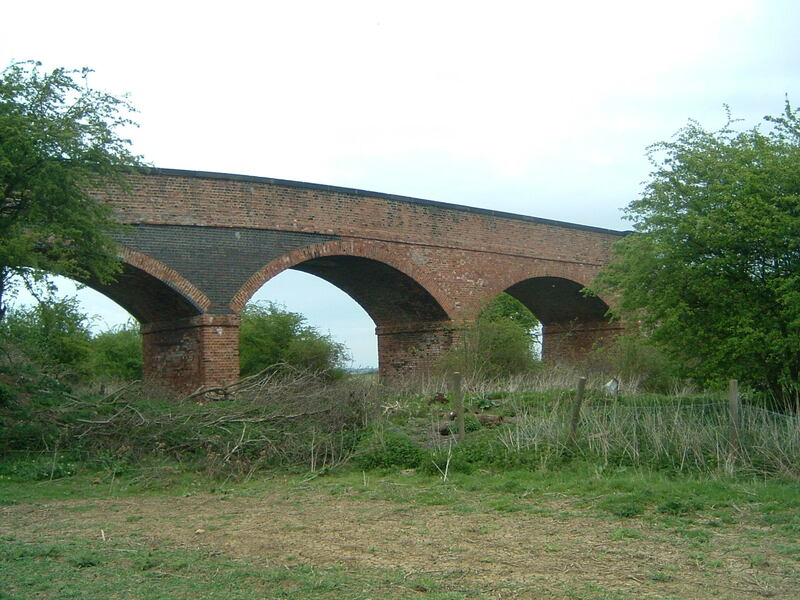 In general, Bottesford was fortunate in escaping a repeat of the inundation of July 2001, but this handsome railway bridge was a casualty. 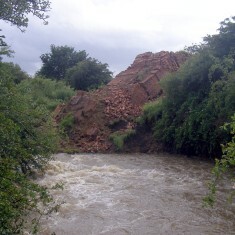 The bridge, which dates back to the 1860s, fell into the river, leaving only the two approaches still standing. 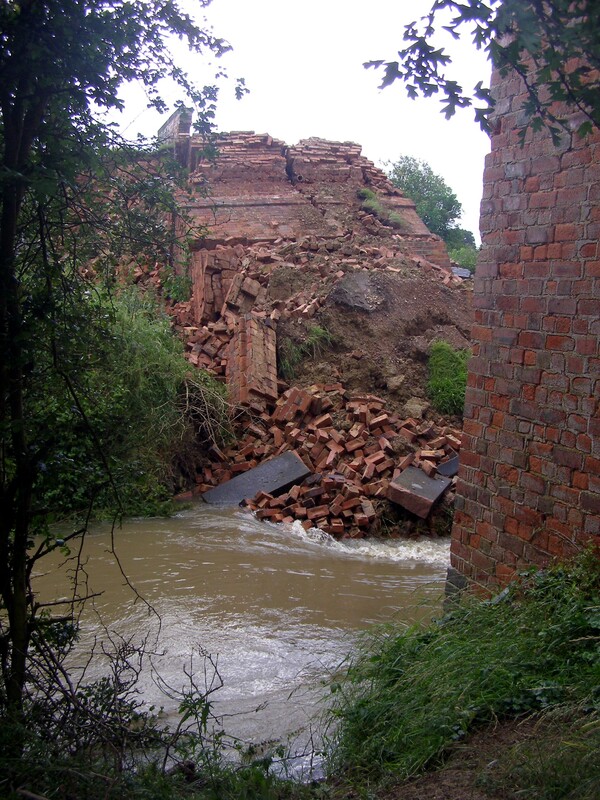 We assume that the river, which was in spate and at a very high level at the time, finally undermined the structure. 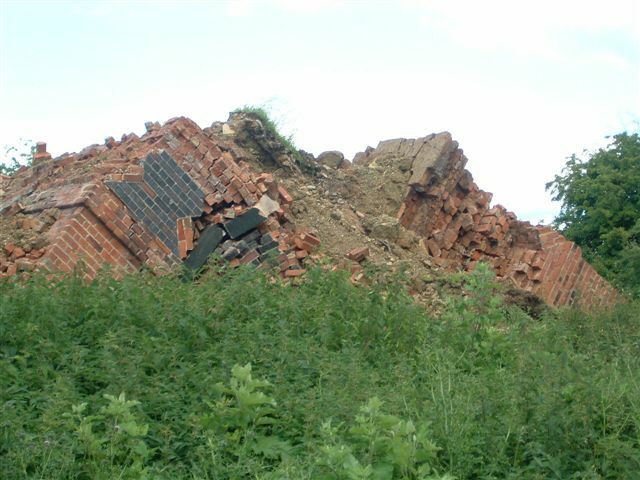 We have no pictures of the event itself, but these were taken before the event during May, 2007, and then in the days immediately after the collapse. 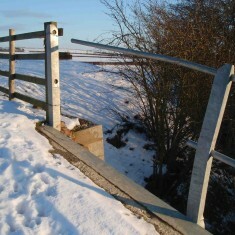 The loss of the bridge created a major problem for local farmers, and plans were quickly drawn up to provide a new crossing. This came into being during November. 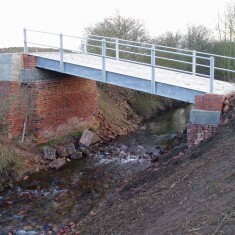 The result is a simple steel and concrete bridge resting on the remains of the piers of the old structure. For some reason, the new bridge slopes steeply from east to west, and the whole construction has a makeshift feel to it. 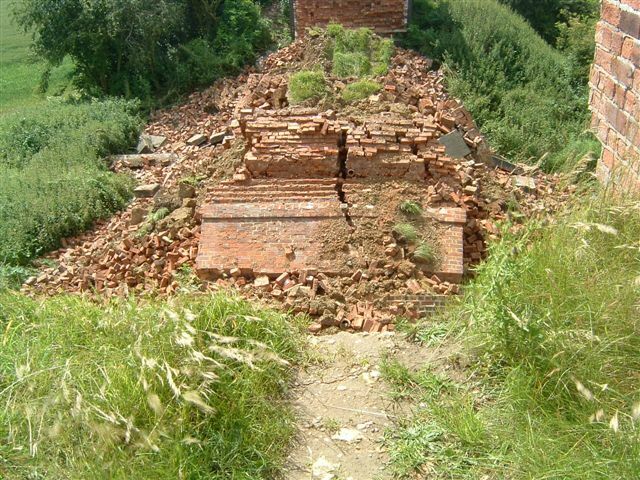 Perhaps the builders will return next year to put things on to a more permanent footing. We must wait and see! This page was added on 09/05/2007. 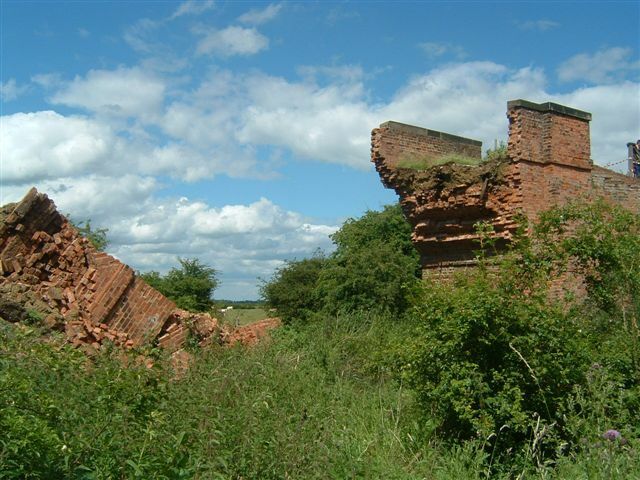 I have just viewed the pictures of the old railway bridge in Bottesford taken by Peggy Topps and Neil Fortey, are these two people professional photographers? if not they should be. It would appear to me that Peggy always appears to be at all major happenings in Bottesford, does she never sleep? 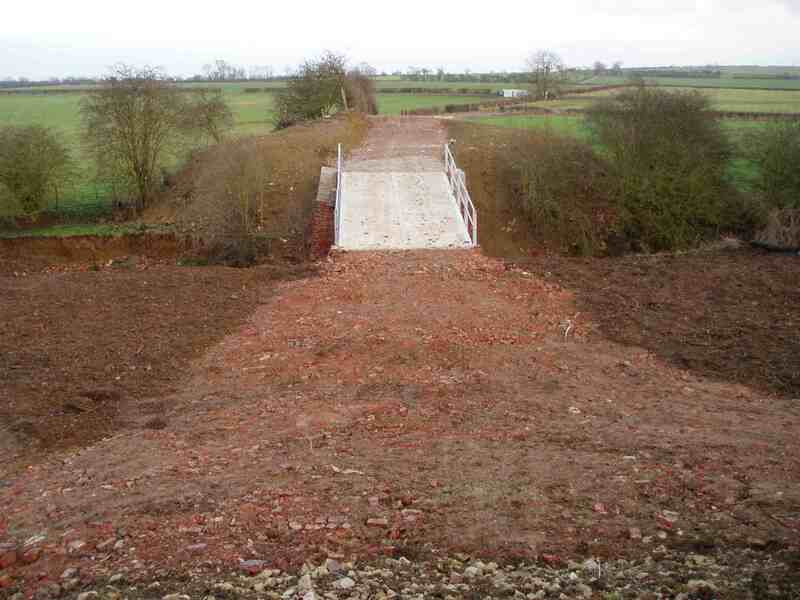 I do know Bottesford and I feel very sad at the loss of such an old bridge, slightly older than me. Well done Mrs. Topps! I trust your husband survived his venture onto such a dangerous structure, some people never learn. 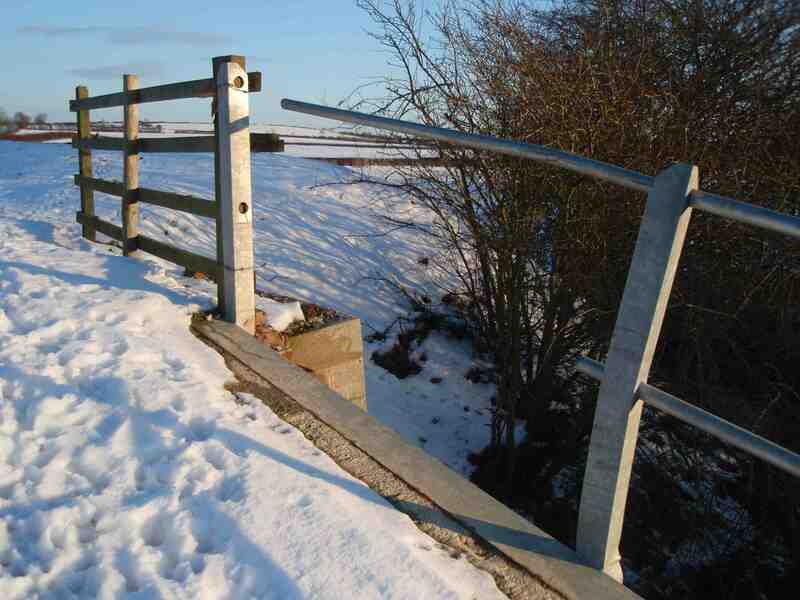 A very sad loss indeed, as long as i can remember this bridge held a fascination for the 60’s generation of kids from the Pinfold-Bowbridge Lane end of the village, who spent a lot of time at Catfish and Three-Arch Bridges in the summer holidays. In the days before the Davis Estate was built I could see this bridge against the skyline if i stood in my bedroom window in Pinfold Lane. I have always held a fascination with big bridges, which i believe was started by this one. I pestered my father to take me and my brother up there for the first time in the spring of 1966 I think it was, and I remember the Devon side arch being somewhat eroded even back then. I last visited it in 1982 and always meant to go back to see if our 1966 initials were still on the parapet, but certainly wish I had have done it sooner now!!! Many thanks also to Peggy Topps and Neil Fortey for the photos; just as well you got the ones in May!!! !